Since 1992, EcoTimber has been the leading supplier of high quality wood products from environmentally sound sources. We offer a beautiful selection of hardwood flooring from FSC-certified well-managed forests, fast-growing Bamboo flooring, and hand-scraped flooring. Offering products made with finishes and adhesives that won't off-gas harmful chemicals, EcoTimber is the healthy choice for your home and the planet. Ideal for gluing down our Prefinished Engineered flooring -- as well as Solid Bamboo flooring -- HealthyBond is virtually VOC-free, and is GreenGuard® Indoor Air Quality Certified. For use under Engineered Hardwood and Engineered Bamboo flooring. Made of Bamboo strands pressed together with a durable resin, this gorgeous prefinished flooring offers the durability of the densest tropical hardwoods with the sustainability of Bamboo. Its wood-like grain is less linear than traditional Bamboo flooring, and its extreme hardness makes it ideal for high-traffic settings. 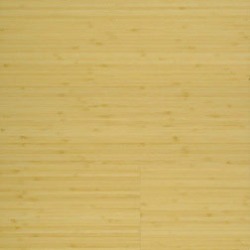 Available in a blond natural color and a warm amber, horizontal-grain bamboo flooring is notable for the distinct knuckles formed by the joints in the bamboo stalk. The amber color, often referred to as "carbonized", is the result of steaming the bamboo stalks before processing them into flooring. Vertical-grain bamboo has a clean, linear look that some people prefer over the knuckles that figure in our regular product. 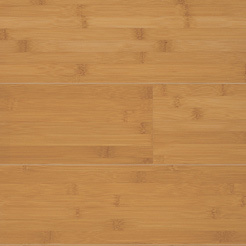 Our engineered bamboo flooring is made of a 1/8" bamboo wear layer over a pine and rubberwood backing, using a virtually formaldehyde-free adhesive. 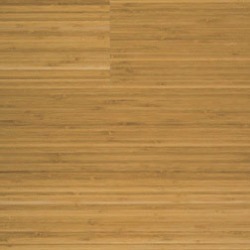 This floor can be "floated", an installation process where the planks are glued to each other and not to the subfloor. Also known as Hard or Rock Maple, this North American classic has a lustrous white color, very fine texture, and beautiful curving grain patterns. A true American classic. 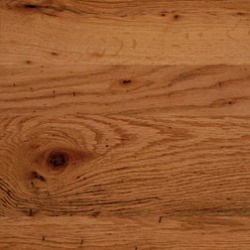 Natural Hickory has moderate color variation, ranging from brown to tan. By adding a medium-brown stain, the color variation seen in Natural Hickory is evened out, for a more uniform appearance. A deep, rich stain provides a clean, modern appearance with minimal color variation. Made from orchard-grown Walnut trees in California's Central Valley, this Walnut floor features exquisite color and grain variation and unique figured patterns not found in other Walnut floors. EcoTimber® Hand-scraped flooring is genuinely scraped by hand -- not "distressed" by machinery. Five-inch widths provide a truly rustic feel and an old-world appearance. Scratches and dings will not stand out as they sometimes do with smooth-surface flooring. The wood in these floors is 100% FSC Certified from well-managed forests, and made with formaldehyde-free, zero-VOC adhesives. 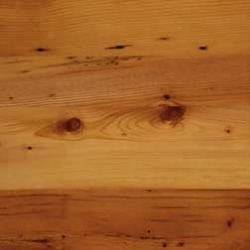 Harder than most Pine species, this traditional favorite is milled from old-growth lumber that is reclaimed from old buildings and given new life. It features knots, nail holes, and occasional insect scarring; and includes both light-colored sapwood and orange-brown heart wood. This mix of Red & White Oak is reclaimed from old buildings and remilled into wide-plank flooring. Sold in mixed widths to replicate the look of traditional colonial flooring, this product offers the superior strength and stability of old-growth wood without the environmental cost. Antique Oak’s rustic features include knots, insect scarring, occasional nail holes, and areas of weathered patina. Milled from standing dead and wind-fallen Red Oaks, this flooring offers the rustic look of reclaimed wood at a fraction of the cost. 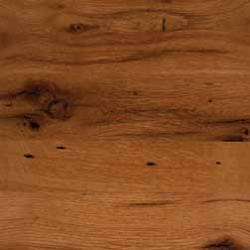 Country Oak features frequent knots and insect scarring, and is sold in mixed wide widths and long lengths. Similar to Brazilian Cherry, but with a warm brown color with fewer reddish tones. Cumaru (KOO-mah-roo) - sometimes known as Brazilian Teak - is one of the hardest wood species on the planet. This South American native ranges in color from honey yellow to light golden brown. White Tigerwood has a light, closed grain similar to Beech, but with an iridescence that truly shines. An excellent alternative for those looking for a light-colored floor but prefer something harder and more exotic than Maple or Beech. White Tigerwood has a light, closed grain similar to Beech, but with an iridescence that truly shines. An excellent alternative for those looking for a light-colored floor but prefer something harder and more exotic than Maple or Beech. 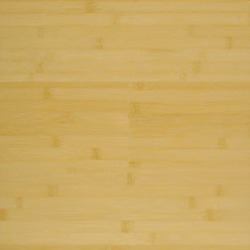 Our White Tigerwood flooring is now also available in a Gold color. This floor features fewer of the red tones found in the Honey color shown above.